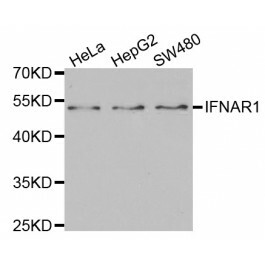 Recombinant protein of human IFNAR1. The protein encoded by this gene is a type I membrane protein that forms one of the two chains of a receptor for interferons alpha and beta. Binding and activation of the receptor stimulates Janus protein kises, which in turn phosphorylate several proteins, including STAT1 and STAT2. 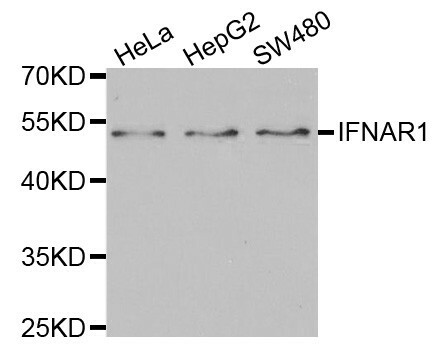 The encoded protein also functions as an antiviral factor.